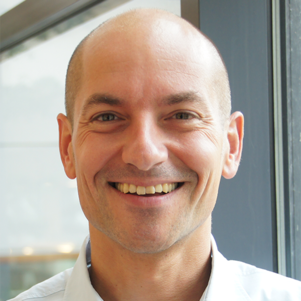 Stephan Lukosch is associate professor at the Delft University of Technology. His current research focuses on designing engaging environments for participatory systems. In participatory systems new social structures, communication and coordination networks are emerging. New types of interaction emerge that require new types of governance and participation. Enabled by technology these structures span physical, temporal and relational distance in merging realities. Using augmented reality, he researches environments for virtual co-location in which individuals can virtually be at any place in the world and coordinate their activities with others and exchange their experiences. Using serious games, he researches on how to create effective training or assessment environments. In his research, he combines his recent results from intelligent and context-adaptive collaboration support, collaborative storytelling for knowledge elicitation and decision-making, and design patterns for computer-mediated interaction. From 2003 to 2008, he was assistant professor at the FernUniversität in Hagen where he lead a research group that focused on environments for cooperative working or learning. In this relation, he published 2007 a foundational book on patterns for computer mediated-interaction with John Wiley & Sons. In 1998, he received a Diploma in Computer Science from the University of Dortmund. From 1998 to 2003, he worked as researcher at the chair for Cooperative Systems at the FernUniversität in Hagen. In 2003, he received a Dr. rer. nat. in Computer Science with distinction from the FernUniversität in Hagen for his doctoral thesis on transparent and flexible data management for collaborative applications. His articles appeared in various journals including the International Journal of Cooperative Information Systems, International Journal of Human Computer Studies, and Journal of Universal Computer Science. Currently, he is a steering committee member of the special interest group on Computer-Supported Cooperative Work (CSCW) of the German computer science society. He further serves on the editorial board of the of the Springer Journal of Computer Supported Cooperative Work (CSCW), Journal of Universal Computer Science (J.UCS) and the International Journal of Cooperative Information Systems (IJCIS). Citius, Altius, Sanius (CAS): The prevailing lifestyle in the Western world (immobility, unhealthy eating, smoking and drinking habits) is an important factor in the etiology of many chronic diseases. Physical activity through sport participation helps to reduce this risk, but introduces new risk factors associated with exercise related injuries. The aim of the program “Citius, Altius, Sanius” is to stimulate people of all performance levels to engage in and sustain physical activity through sports and fitness, improve their performance and prevent injuries by providing informative and motivating information using advanced sensor and data science techniques (https://www.tudelft.nl/en/2017/tu-delft/six-million-euros-in-research-funding-to-develop-technology-that-prevents-sports-injuries/). Burger Alert Real Time (BART): The aim of the project is to develop an innovative platform in which citizens, private organizations, the police and the municipality participate to deal with safety and security issues in the neighbourhood. Providing a means for citizens to influence the quality of their own living environment and security, together with the municipality and the police, to increase social cohesion, and reduce the level and amount of crime, is the focus. Trust, presence and relationships are prerequisites for citizen participation. TUDelft focuses on understanding the current state of the neighbourhood, and designing interventions with which to increase citizen participation over-time, when no emergencies occur, as well as just-in-time in emergency situations that require immediate follow-up.